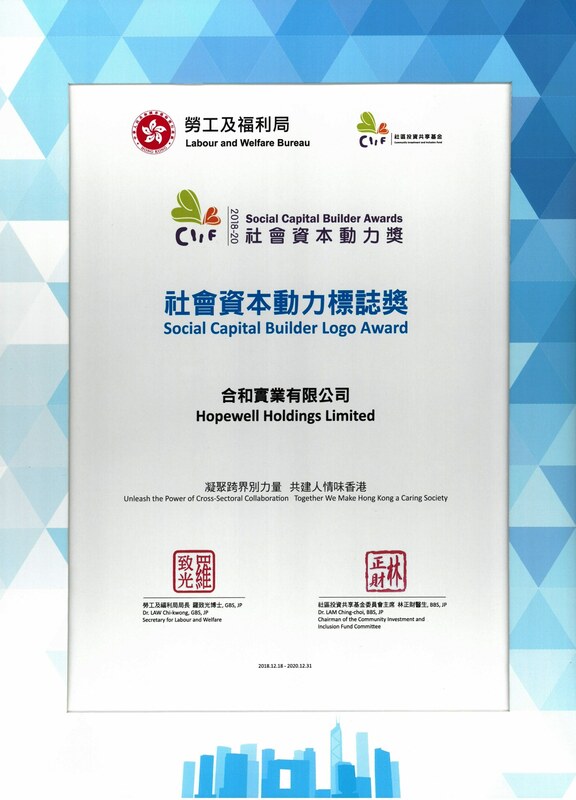 Hopewell Holdings Limited (“Hopewell”) was awarded the "Social Capital Builder Logo Award 2018-20" at the SCB Awards Presentation Ceremony 2018 in recognition of the Group’s contribution to the development of social capital in Hong Kong. 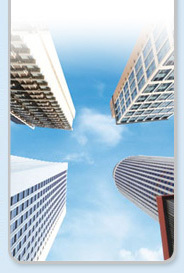 The biennial "Social Capital Builder Award" was first organised by the Community Investment and Inclusion Fund (CIIF) of the Labour and Welfare Bureau in 2012. The Award aims to recognise individuals and corporates/organisations who have contributed to the development of social capital in Hong Kong, providing an opportunity for various sectors of the community to witness and share the achievements in building social capital in Hong Kong.